This has WOW flavor ! Serve this next to any Asian inspired dish (Asian Grilled Chicken comes to mind) for a great salad that takes over every tastebud in your mouth ! To toast sesame seeds, place in a hot skillet and sauté for a couple of minutes until they turn golden and are aromatic. 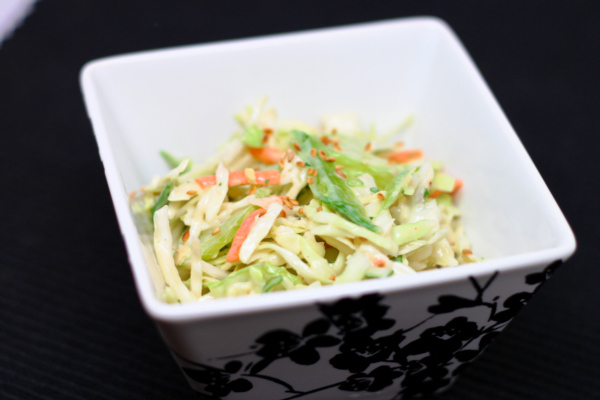 Mix lime, Miracle Whip and Sesame dressing well and pour over the rest of the ingredients (except the sesame seeds). Mix well. Chill at least 2 hours. Sprinkle with seeds just before serving.